Gorgeous card and with a very sweet image. Lovely! 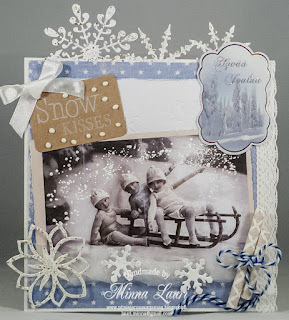 Such a girgeous card and vintage picture, thanks for playing with us at wlvc. What a beautiful card, Minna. I love the image--it's delightful. Terrific embellishments.